Today I will be telling you about the last beauty treatment which I did while I was in Bulgaria last week! This treatment is also something I have wanted to do for a long time, but was never finding the right time to do it.. Well at least until last week, when I finally decided to do it at Salon Effect! The treatment was an eyebrow microblading, a procedure which has become extremely popular over the past couple of years! I bet you have seen it done on many Hollywood celebrities, it seems to be their favorite treatment right now! For years I have been contouring my eyebrows every day, as part of my make up! I was really used to it and as the other option was to do the old method of permanent eyebrow tattoo, I always preferred to just draw my eyebrows every day. 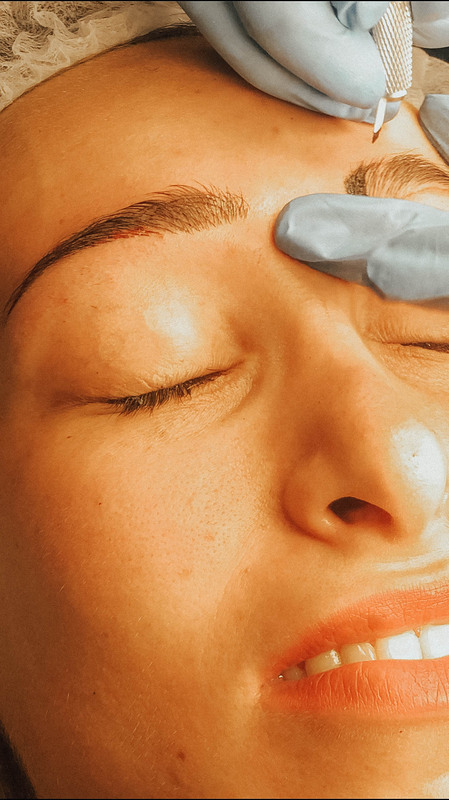 What I absolutely hate about the permanent eyebrow tattoos is that your eyebrows need to be completely shaved before the procedure and there is no guarantee that all hairs will grow back, which means that you might destroy your eyebrows forever. This is the main reason why a permanent eyebrow tattoo was never a good option for me. So once I found out about the Microblading and the way it is done, I was sure I wanted to have it done. 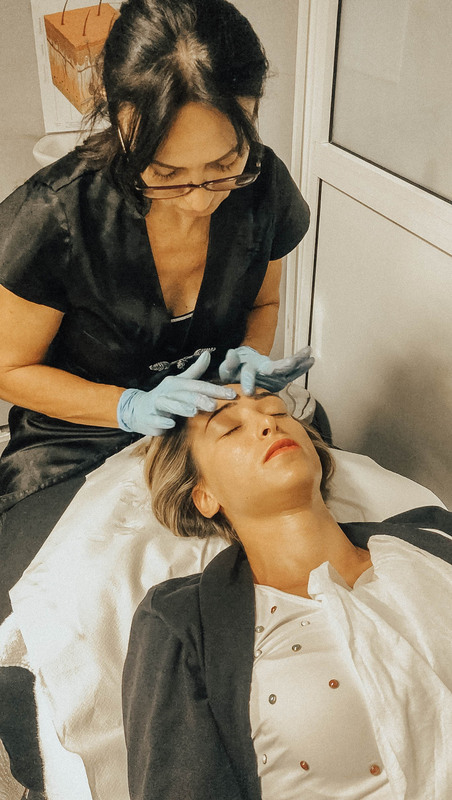 Let me now tell you more about the microblading and why it is so great! 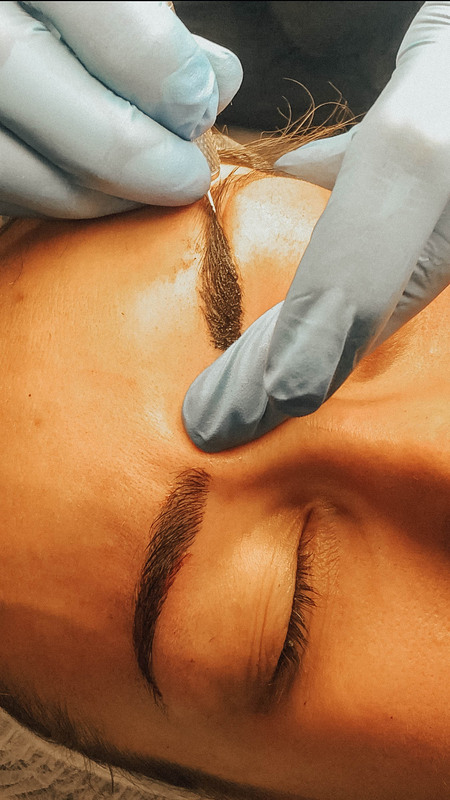 Microblading, also known as Eyebrow Embroidery is a procedure categorized under permanent makeup, but unlike traditional cosmetic tattooing, it is less invasive and is considered semi-permanent. 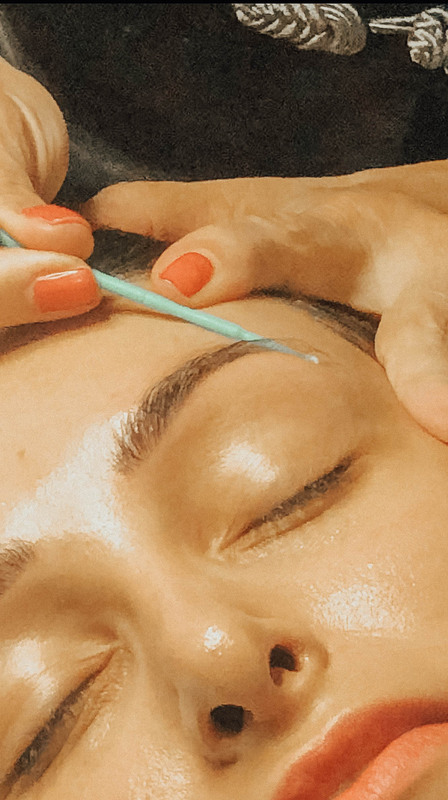 Microblading typically lasts 1-2 years, depending on skin type and skincare routine. 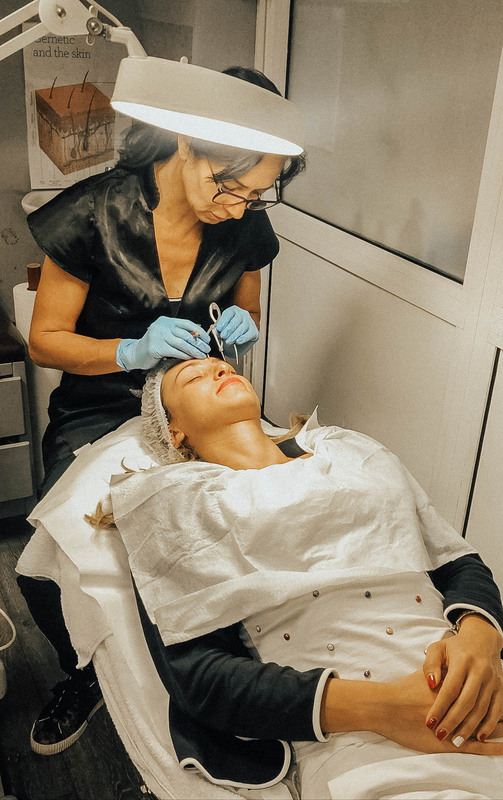 The procedure is done by using a hand tool with ultra-fine needles and each ‘hair’ is gently etched into the skin, giving an incredibly natural and realistic look. Microblading can dramatically correct or fully reconstruct lost eyebrow and is excellent for those wanting to enhance their brows. Pigments used are chosen to match the natural or desired brow color and skin tone will also be taken into consideration. Salon Effect is a place where I have been going since I was a teenager and I trust Diana Petrova (the microblading specialist) completely! So I was absolutely sure that when I decide to do the treatment it will be at Salon Effect! My Microblading session took about 2 hours. During this session, Diana shaped and styled my brows, so we can agree on the perfect shape for my face. 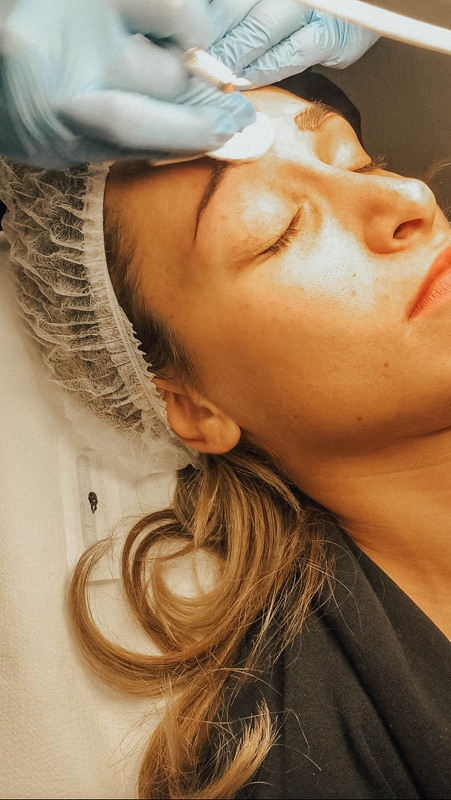 We then followed with pigment color selection, after which we began the procedure (you can see detailed pictures of what the procedure looks like below)! 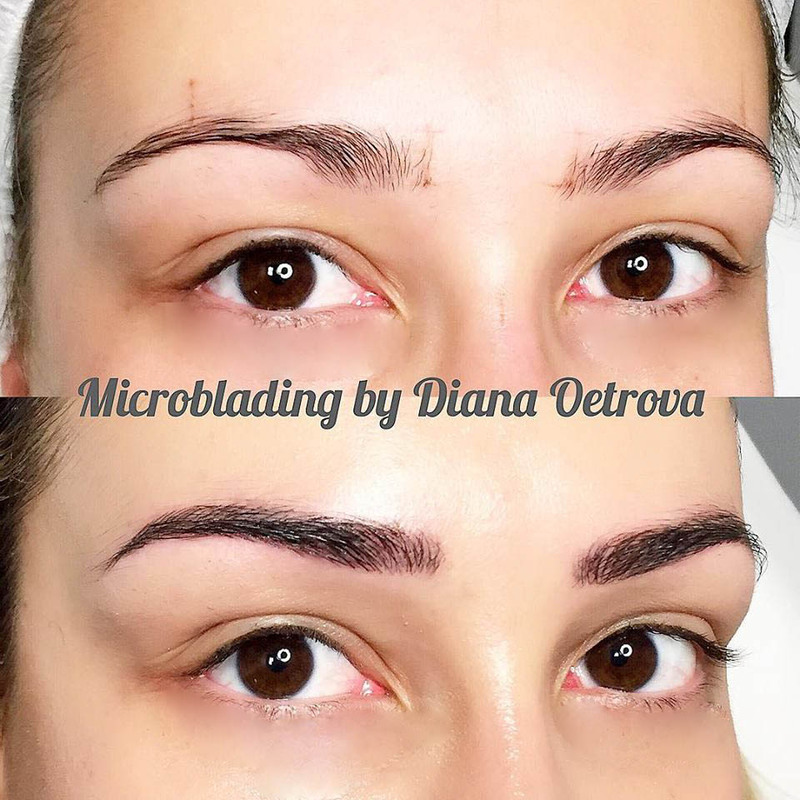 What I love the most about the microblading is that it does not harm the hair on your eyebrows in any way and the final result after the treatment looks really natural. Also, the healing period is not too long and your eyebrows already look great straight after the treatment (you can see a before and after picture below)! It usually takes about 7 days for the brows to heal after the treatment and one month later the color settles down. You also have to go for a follow up appointment 4-6 weeks after the first treatment, for some minor necessary touch ups. Below you can find the pictures from the treatment! I will also share with you the final results after the follow up appointment in 4 weeks. The final result looks absolutely amazing!